The research carried out in our laboratory addresses the characterization of bacterial membrane proteins that directly or indirectly detect the presence of antibiotics and activate expression of resistance genes. On one hand we are studying the sensor proteins of the β-lactam resistance systems ofStaphylococcus aureus. On the other hand we are working in the characterization of the mechanism by which the sensing proteins of the vanSRand vraSRT systems of S. aureusrecognize the presence of β-lactam and glycopeptideantibiotics and transmit the signal to the cytoplasm. As for the characterization of the sensor proteins of the β-lactam resistance systems we are working in the elucidation of the topology of the transmembrane regions of MecR1 and BlaR1, and in the construction of a full-length model in order to understand how the presence of the β-lactam antibiotic is transmitted to the cytoplasmic domain for activation. 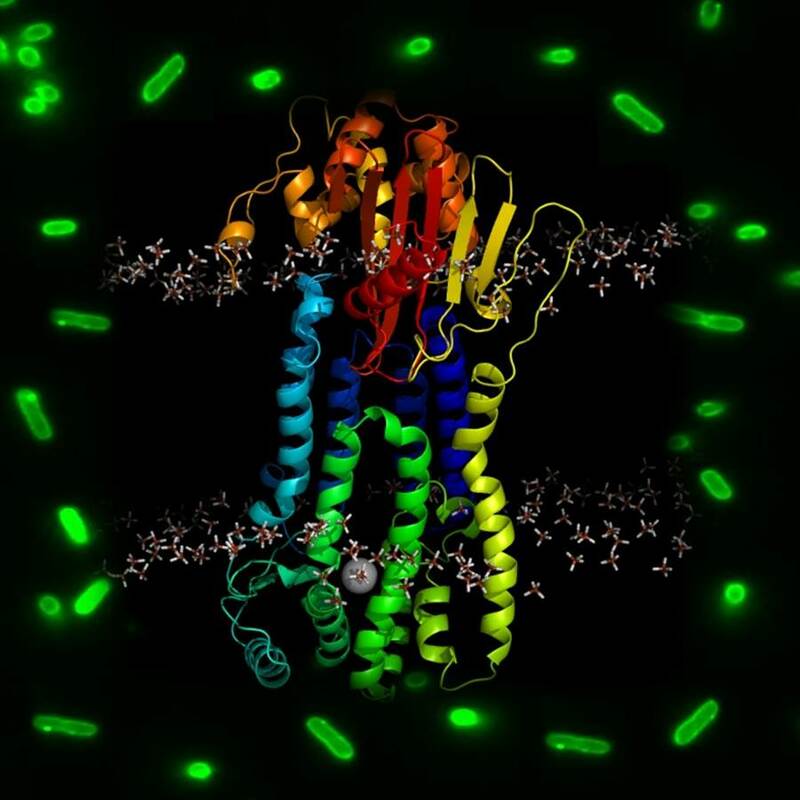 As for the study of the sensor proteins of the vraSRT and vanSR systems, we employ a multidisciplinary approach that involves the use of affinity photoprobes to try to identify direct transient interactions with the antibiotics. 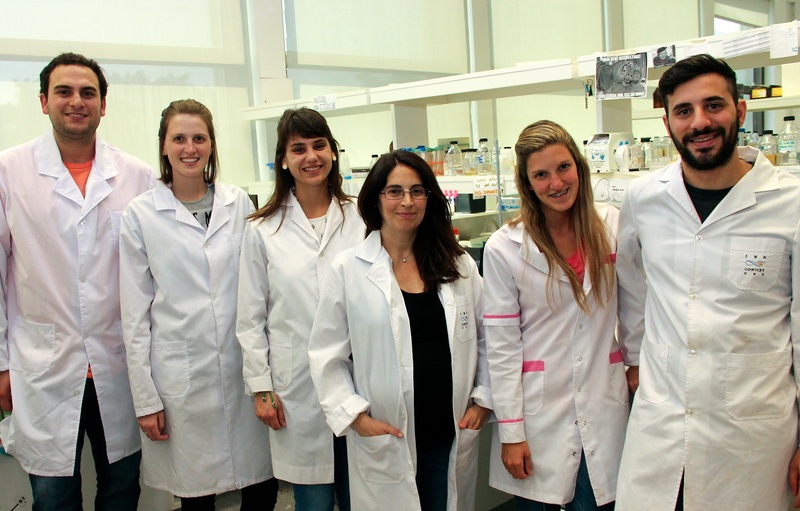 Our group carries out an interdisciplinary study, using molecular biology techniques, biochemistry, microbiology and spectroscopy (absorption, fluorescence, circular dichroism and mass spectrometry). Through the interaction with our collaborators we employ chemical synthesis, molecular modeling and X-ray diffraction to achieve our goals. Staphylococcus aureus is the major cause of intra- and extra-hospital infections in the world. Recent epidemiological studies show the emergence of clones with high virulence associated with invasive infections both in the community and in hospitals in the central region of Argentina. There is great concern about the increasing prevalence of infections caused by strains of S. aureus resistant to the action of β-lactam antibiotics (MRSA, methicillin-resistant S. aureus). MRSA expresses an accessorypenicillin-binding protein (PBP2a), with low affinity for most β-lactam antibiotics, which is responsible for the therapeutic failure of this family of drugs. The rapid development of resistance to β-lactam antibiotics is a major challenge for the prevention and treatment of S. aureus infections. This challenge is increased given the small number of antibacterial compounds in final stages of evaluation for clinical use, and given the significant reduction in the investment of pharmaceutical industries in the development of new antibacterial compounds.A major challenge in the search for new antibacterial compounds is the ability of these organisms to acquire mechanisms of resistance to antibacterial compounds. Hence, it is critical to identify new targets for the design of compounds that can be used in clinical treatment of infections due to resistant bacteria. It is desirable that the new targets present mechanisms of action different from those employed by currently available antibiotics.An alternative strategy is the search for compounds that inhibit proteins involved in the mechanisms of resistance, which could then be used in combination with currently available antibiotics. In S. aureus PBP2a expression is regulated by the sensor / transducer membraneproteins MecR1 and BlaR1. The role of MecR1 and BlaR1 in induction of β-lactam resistance makes them excellent targets for the design of inhibitory compoundsthat could restore the effectiveness of β-lactam antibiotics for the treatment of MRSA infections.However, the molecular details of activation of these two proteins are unknown. 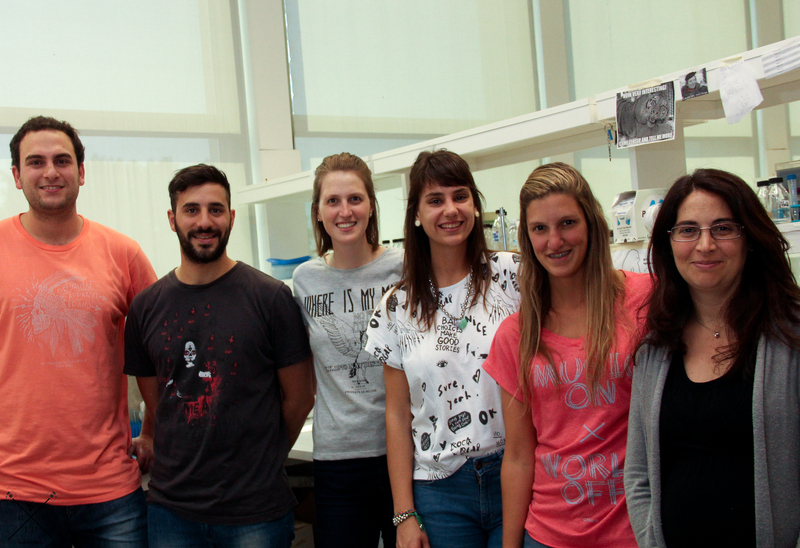 We intend to apply the experience of our group in the study of the molecular events that lead to the manifestation of resistance to β-lactam antibiotics in MRSA to identify the structural determinants that result in signal transduction in MecR1 and BlaR1 using a multidisciplinary approach. The project also plans to construct reporter strains of these systems that can be used for basic research and for the identification of inhibitor compounds of these proteins. The glycopeptide vancomycin is the antibiotic available for the treatment of MRSA infections. The scenery is not encouraging however, since some strains of S. aureus have also developed mechanisms of resistance to vancomycin. The vraSRT and vanSRthree/two component systems present in S. aureus quickly detect stress due to the action of antibiotics active against the cell wall and transmit the signal to the cell cytoplasm. These systems coordinate the response to antibiotics that inhibit peptidoglycan biosynthesis and are associated with vancomycin resistance. So far the molecular events leading to detection of the antibiotics by the sensor proteins VraS/VraT and VanS is unknown. Our goal is to elucidate the molecular events leading to induction of these antibiotic resistance systems. In particular we aim at determining the structural features and the mechanism of activation of the sensor membrane proteins. To achieve this goal we employ a multidisciplinary approach that involves the use of affinity photoprobes, biochemical assays, S. aureus reporter strains, mass spectrometry, among other techniques. • Boudreau, M.A. Fishovitz, J. Llarrull, L.I. Xiao, Q. Mobashery, S.(2015) Phosphorylation of BlaR1 in Manifestation of Antibiotic Resistance in Methicillin-Resistant Staphylococcus aureus and Its Abrogation by Small Molecules, ACS Infectious Diseases. 1(10), 454-459. • Blázquez B, Llarrull LI, Luque-Ortega JR, Alfonso C, Boggess B, Mobashery S, equally contributing authors. (2014) Regulation of Expression of the -Lactam Antibiotic-Resistance Determinants in Methicillin-Resistant Staphylococcus aureus (MRSA), Biochemistry, 53:1548-1550. • O’Daniel, P.I. Peng, Z. Pi, H. Testero, S. A. Ding, D. Spink, E. Leemans, E. Boudreau, M. A. Yamaguchi, T. Schroeder, V. A. Wolter, W. R. Llarrull, L. I. Song, W. Lastochkin, E. Kumarasiri, M. Antunes, N. T. Espahbodi, M. Lichtenwalter, K. Suckow, M. A. Vakulenko, S. Mobashery, S. Chang, M. (2014) Discovery of a New Class of Non-β-Lactam Inhibitors of Penicillin-binding Proteins with Gram-positive Antibacterial Activity”. Journal of the American Chemical Society, 136:3664-3672. • Otero LH, Rojas-Altuve A, Llarrull LI, Carrasco-López C, Kumarasiri M, Lastochkin E, Fishovitz J, Dawley M, Hesek D, Lee M, Johnson JW, Fisher JF, Chang M, Mobashery S, Hermoso JA. (2013) How Allosteric Control of Staphylococcus aureus Penicillin-Binding Protein 2a Enables Methicillin-Resistance and Physiological Function, Proc. Natl. Acad. Sci. USA, 10 (42):16808-16813. • Llarrull LI, Mobashery S. (2012) Dissection of Events in the Resistance to β-Lactam Antibiotics Mediated by the Protein BlaR1 from Staphylococcus aureus, Biochemistry, 51:4642-4649. • Kumarasiri, M. Llarrull, L.I. Borbulevych, O. Fishovitz, J. Lastochkin, E. Baker, B. M. Mobashery, S. (2012) An Amino-Acid Position at the Crossroads of Evolution of Protein Function: Antibiotic-Sensor Domain of the BlaR1 Protein from Staphylococcus aureus vs. Class D β –Lactamases; equally contributing authors. Journal of Biological Chemistry, 287(11):8232-41. • Llarrull LI, Toth M, Champion MM, Mobashery S. (2011) Activation of BlaR1 Protein of Methicillin-Resistant Staphylococcus aureus, Its Proteolytic Processing and Recovery from Induction of Resistance, Journal of Biological Chemistry, 286(44):38148-38158. • Borbulevych, O. Kumarasiri, M. Wilson, B. Llarrull, L. I. Lee, M. Hesek, D. Shi, Q. Peng, J.; Baker, B. M. Mobashery, S. (2011) Lysine Nζ-Decarboxylation Switch and Activation of the β-Lactam-Sensor Domain of BlaR1 of Methicillin-Resistant Staphylococcus aureus. Journal of Biological Chemistry, 286(36): 31466-31472. 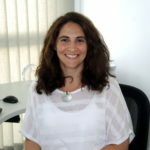 Subsidio del Programa de Cooperación Bilateral, NIVEL I, CONICET-NIH (2015-2017), Investigador Responsable: Leticia Llarrull. PICT-2015-2521, Agencia Nacional de Promoción Científica y Tecnológica, Investigador Responsable: Leticia Llarrull.